In the hugely competitive world of ecommerce and online retail, it’s all about staying one step ahead of the competition. If you don’t evolve and innovate, you’ll soon find your customers go elsewhere – so now’s the time to start thinking about how you’re going to make waves in 2019. One weapon you might like to have in your arsenal in the coming year is artificial intelligence (AI), which can make a real difference to the experiences your customers have with your brand… which in turn will translate to a real difference to your bottom line if you play your cards right. An easy way to start off leveraging AI to your own advantage is to make excellent use of chatbots. These are chat boxes that you’re sure to have spotted on other websites already, AI-based software programmed to communicate with people in a highly personalised way. They can assist customers with finding the products they’re looking for, checking stock availability, comparing products and even helping people pay for what’s in their shopping cart. But they can also be used to help connect customers with the right person if they want to talk to an actual human instead of a computer, via text, voice or even pictures. You might also find it beneficial to look into making use of recommendation engines, which lots of retail brands use to ensure they’re targeting their products towards the right audience in a bid to maximise sales. Certain algorithms can be used to record details about the products being searched for, with recommendations then made for the user, listing them on a dashboard so they can source products in a flash. And the good news for small to medium-sized enterprises is that you can invest in AI because you don’t have to take a huge financial risk in order to start reaping the benefits. If you already make use of WordPress plugins to run your business or Google Analytics to help you track your site and how it’s performing, then you’re already well on your way to making the most of AI. Of course, it can be tricky to work out what you should invest in first – so check out this article on the Econsultancy website, as it should help point you in the right direction. Brands are advised to assess their business problems before spending any money, asking themselves a series of questions before buying any new tool or service. For example, ask yourself if there are any old technologies you could upgrade or if there’s a tool you wish you had for your ecommerce site. 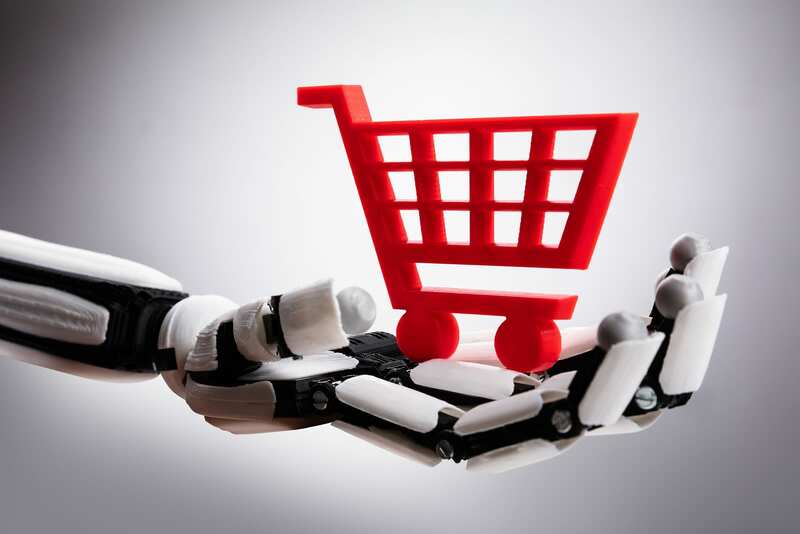 It was noted, however, that just because AI is popular doesn’t mean that every resource out there is going to make a real difference to your online retail efforts. So do take the time to think about it and work out what – if any – tools will suit you and your particular situation. Looking for a digital agency in Salford? Get in touch with us today.